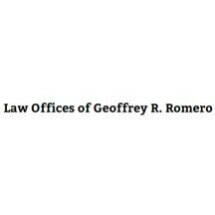 If you were severely injured in a vehicle collision or other accident, the Law Offices of Geoffrey R. Romero can help. We fight to maximize our personal injury clients’ compensation and insurance coverage. Our Albuquerque law firm handles the stress of our clients’ cases, so they can focus on getting better. For over 25 years, attorney Geoffrey R. Romero has helped severely injured people across New Mexico. We also represent the best interests of families who have lost a loved one in an accident. Our personal injury law firm creates individualized legal strategies that get clients compensation for their immediate and future needs. Our collaborative approach to the law empowers clients so they can make educated decisions about their cases. We represent people on a contingent fee basis, which means they will not pay legal fees unless we win compensation for their case. Mr. Romero started our law firm after working at a nationally recognized insurance provider. He saw how insurance companies took advantage of their clients and wrongfully denied valid personal injury claims. Our law firm protects the rights of average citizens and helps them get fair and ethical compensation for their injuries. Mr. Romero has taken on large insurance providers and businesses that infringed on his clients’ rights. He has represented clients in class action lawsuits against national insurance providers. These class actions allowed for the reformation of over 1 million denied health insurance policies for New Mexicans statewide. Our attorney is active in the local legal community and has earned a reputation for quality service. He was selected for inclusion on the prestigious Super Lawyers list in 2007 and from 2010 to 2017. Martindale Hubbell also recognized Mr. Romero as a Distinguished Attorney who is Peer Rated for High Professional Achievement. At the Law Offices of Geoffrey R. Romero, our staff has worked together for years and we strive to create a welcoming environment. We speak Spanish and will communicate in your preferred language. We can discuss your case in a free consultation and give you valuable information about what you can expect. Call or email our law firm to schedule your free consultation to discuss your case with an experienced attorney. Se Habla Español.